The Christian pastor who was abducted last Sunday with his family in Burkina Faso's northeastern province of Soum has been released. Local sources told national broadcaster Omega Radio that Pastor Pierre Boena, his son David and his daughter-in-law, Ami Sawadogo, were released on June 7. The report does not specifically mention the two granddaughters, Fasne-wendé Ouédraogo and Pélagie Sawadogo, who were also abducted during the raid on Sunday, but does state that the pastor was released "with all the other members of his family in Malian territory." The reason for their release is not known, nor is it known whether a ransom was paid. Pierre Boena, a pastor with an Assembly of God church, was kidnapped last Sunday evening in his village of Bilhore, near the border with Mali. At the time of the attack he was at home with four family members and a church member, Pauline Sawadogo, who was visiting with her two daughters, Sanata and Zoenabou, local sources told World Watch Monitor. These sources suggested that Pauline and her daughters might have been kidnapped along with Pastor Boena's family on June 3. Speaking on Thursday they said the whereabouts of Pauline and her daughters remain unknown. Meanwhile there has still been no news regarding catechist Basnéré Mathieu Sawadogo, and his wife Alizeta, who were abducted two weeks earlier. Mathieu serves as a catechist at their parish, Notre Dame des Apôtres (Our Lady of the Apostles) in Arbinda, 62 miles from Djibo. Kidnappers have previously targeted Djibo. Eighteen months ago an Australian couple were taken hostage from the city by al-Qaeda in the Islamic Maghreb. Ken and Jocelyn Elliott had run a 120-bed clinic for 40 years until their abduction in January 2016. Jocelyn was released a month later, but her husband remains in captivity. No group has yet claimed responsibility for the recent kidnappings but World Watch Monitor understands that the perpetrators are believed to be members of the Fulani ethnic group. Some relatives have been able to speak over the phone with the hostages, who told their family that they were in good health and were being treated well by their abductors. There has been speculation that the kidnappings could be the result of acts of violence against Fulani communities by security forces which, it was said, had angered them. Fulanis and Tuaregs are the two main nomadic ethnic groups in northern Burkina Faso, and in neighbouring Mali and Niger. Access to grazing land and water have caused tensions between the two communities. Militant members of the two communities are also fighting alongside numerous Islamist groups active in the Sahel region. The recent kidnappings of the two Christian church leaders has created an atmosphere of anxiety among Christian communities in the land-locked Sahel nation, seen as a model of tolerance in a troubled region. Burkina Faso's 20 million inhabitants — predominantly Muslim (around 60 percent), but also with significant numbers of Christians (over 20 percent, the vast majority of whom are Catholics) and followers of indigenous beliefs (15 percent) — have long enjoyed peaceful co-existence. Two weeks ago, 21 Catholic bishops from Burkina Faso and Niger said better dialogue was needed between Muslim and Christian communities if terrorism was to be eradicated. Following their five-yearly ad limina meeting with Pope Francis, in which the bishops discussed their concerns, Bishop Laurent Birfuore Dabiré of Dori, BurkinaFaso, told Vatican Radio that "peaceful cohabitation" between Muslims and Catholics continued "despite the atmosphere of insecurity, and everything must be done to support it." His diocese is located in the tense border region with Mali where many of the kidnappings and attacks have taken place, but, he said, what unites people "is family, culture, and traditions that are independent of religion". Unlike Mali, Burkina Faso has not seen as many terrorist attacks. But it appears it is being slowly drawn into the wars of the Sahel. Attacks attributed to Islamist militants have intensified, particularly in the northern part of the country, prompting a military campaign in the region. In a report published last month, Human Rights Watch highlighted the atmosphere of fear created by the increase in Islamist activities in the region. The New York-based group accused security forces of extrajudicial killings, abuse of suspects in custody and arbitrary arrests. In March, the capital, Ouagadougou, was rocked by twin attacks on the country's army headquarters and the French embassy. 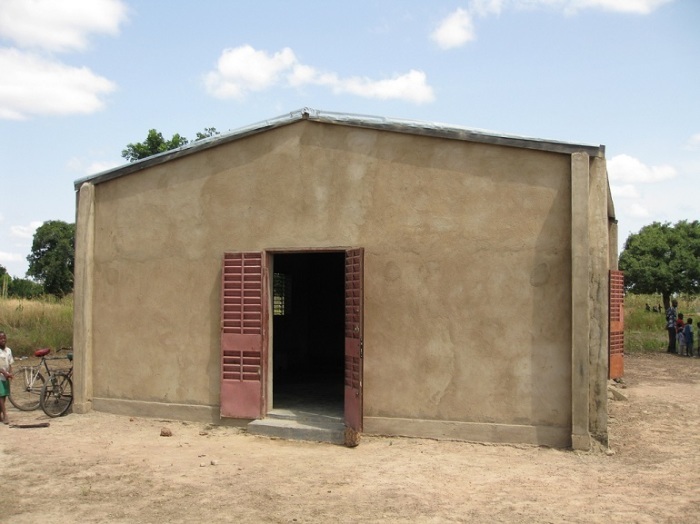 Schools and teachers in and around Djibo have also been targeted by the militants. In April, Islamic State in the Greater Sahara kidnapped a teacher "because he was speaking French to the pupils" rather than Arabic, the South African news agency News24 reported.